The “T” in Tiramisu is definitely for “Tantalizing” as this dessert never ceases to amaze anyone lucky enough to experience its alluring flavours! 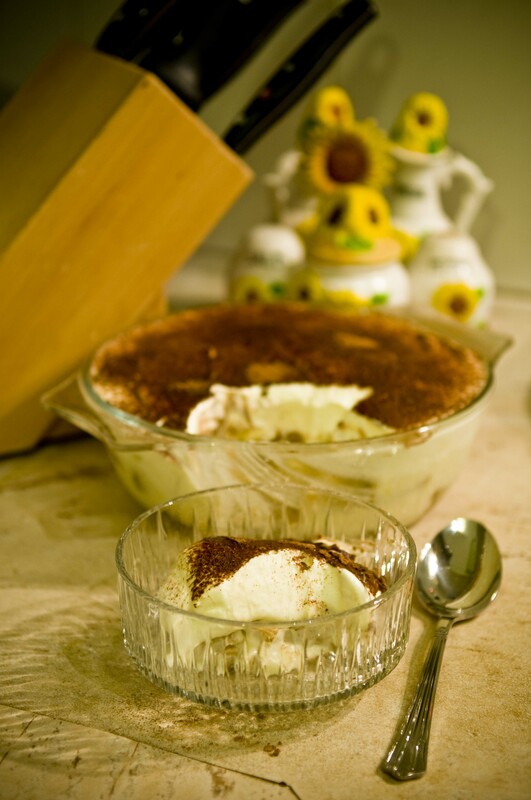 Italian for “Pick me up”, Tiramisu will certainly have your taste buds awake and craving for more. It’s main ingredient is Mascarpone cheese which is a full fat Italian cream cheese. Therefore, if you happen to be on a diet, then this is a definite “No!”. Lady fingers or sponge cake can be used for its base which is moistened with a concoction made out of coffee and Amaretto or Marsala. Brandy is a handy substitute for the liqueurs, but my personal favourite is Amaretto.